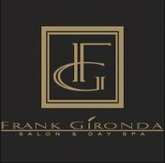 Frank Gironda Salon & Spa is a well appointed salon with dedicated professionals knowledgeable with current education and offering good customer service. It provides full menu services relating to hair, makeup and nails as well as with spa services. It has been into the business and is located in Town Square Mall. They are known to offer services with only exclusive beauty products including Redken, MOROCCANOIL, Dermalogica, PCA skin and lots more. They provide gift cards to new guests as memento. They make guests feel enriched experience for nurturing spirit and mind. Their staffs work as a team to deliver absolute beauty. There are currently 0 consumer reviews about Frank Gironda available. Share your review. Please take a note that you are about to post a public review about Frank Gironda corporate office on CorporateOffice.com. This review will be public, so please do not post any of your personal information on this website. If you would like to contact the corporate offices of Frank Gironda, please use their contact information such as their phone number, website, and address listed above to contact them. However, sometimes staff from Frank Gironda headquarters do read the reviews on this website.